I've put together two looks just right for Autumn. 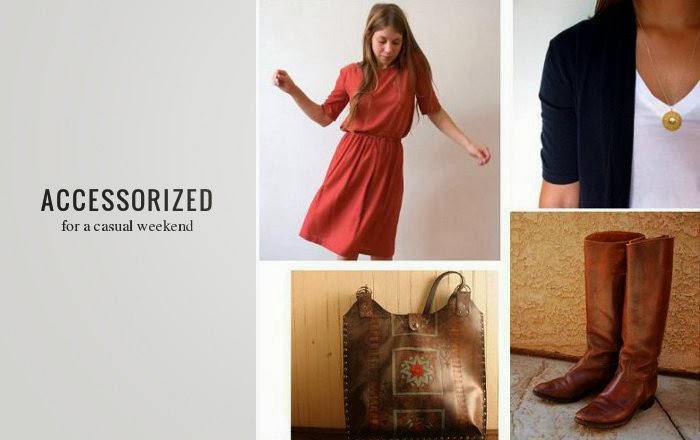 Instead of focusing on one piece in different price points/wearability factors as Handmade Fashionista typically does, I've styled two ensembles and accessorized them. The next look steps it up just a touch to make it a perfect wear to work outfit. 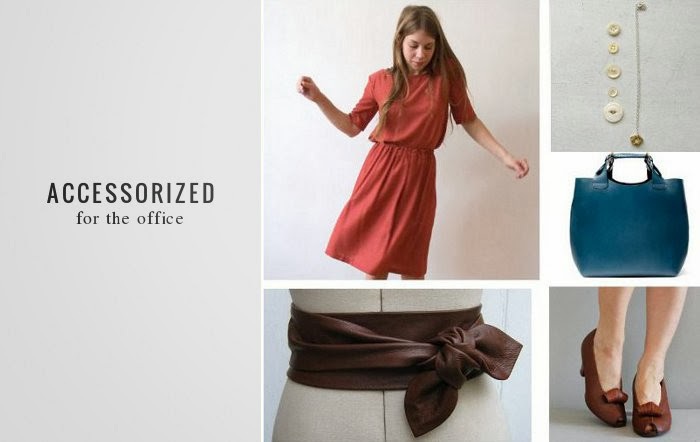 The rust colored skirt and top is paired with a minimalist necklace, soft obi belt and 1940s vintage peeptoes. A deep teal tote adds a subtle pop of color against the rust colored skirt and top.